As well as brides- and grooms-to-be, friends and family are also invited to attend the sensational event, which features 160 suppliers and a jam-packed programme of entertainment, including the spectacular catwalk show – considered the best in the business. Taking to the stage on the catwalk will be the best in bridalwear, menswear and bridesmaids’ dresses, in addition to outfits for the mothers of the bride and groom from John Lewis. If you don’t like hats, you can opt for a fascinator or hatinator. 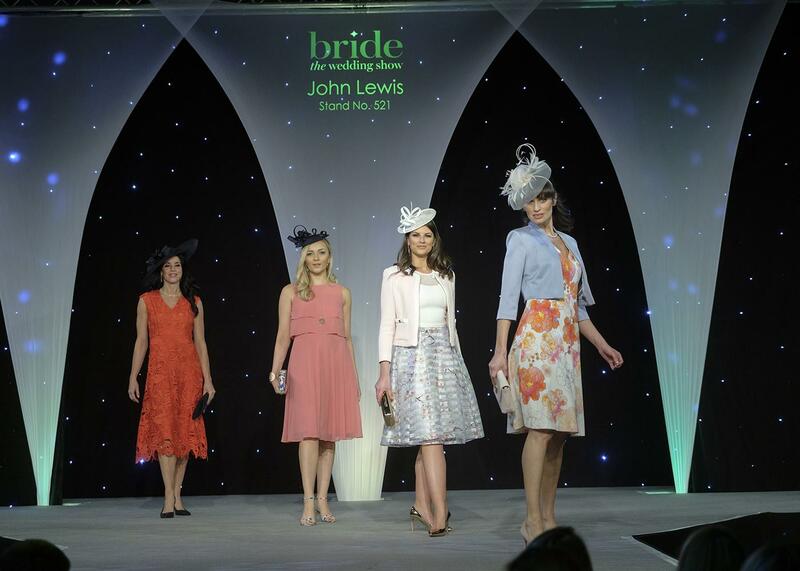 During Bride: The Wedding Show, attendees can pay a visit to the John Lewis stand (521) where they can find details of outfits seen on the catwalk and learn more about John Lewis’s personal styling for the mothers and fathers of the bride and groom and gift list services. For further guidance, visitors are welcomed to the John Lewis store in Exeter, on Sidwell Street, or they can speak to the team on 01392 284150.